Debby Ryan Is Updating Her Fans From Her Studio About Her Tour! Debby Ryan from Disney Channel’s ‘Jessie‘ recently let her fans know that she is heading out on tour with her band ‘The Never Ending‘! And now we know that the musical group is working on new music before heading out on the road! Booking some shows with my band @thenvrndng || Finally. We are going to play and sing for you this summer. Who wants in? The Never Ending To Perform In Dallas, TX Tonight! Debby Ryan’s band The Never Ending will be performing at Six Flags Over Texas in Dallas, TX tonight. The show is only $10 and will be an event not to miss! Debby and the band took to Instagram on this hot Texas day to share a fun photo as they arrived. 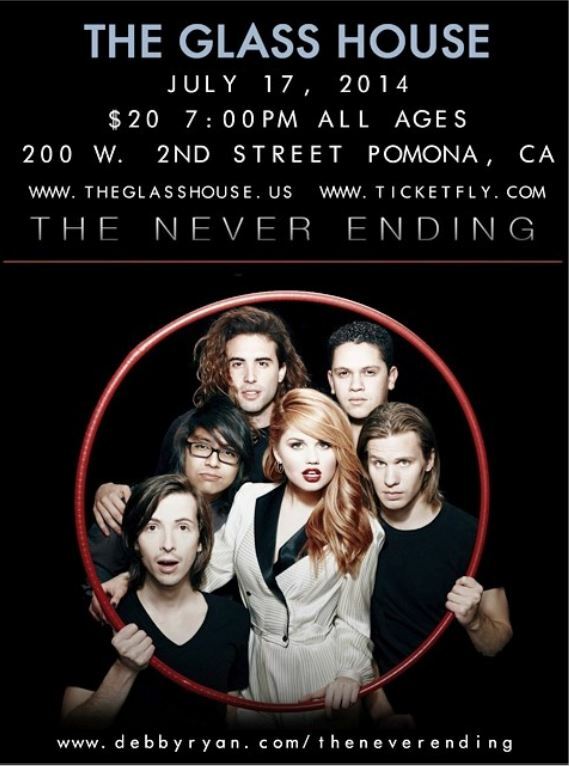 Debby Ryan And The Never Ending To Peform At The Glass House! Tickets for the concert will be going on sale tomorrow! Will you be seeing The Never Ending live in concert on July 17th?! Let us know by commenting! Debby Ryan’s Super Chic Style At The 2014 Thirst Gala – See The Pics Here! Disney Channel star from Disney’s Jessie, Debby Ryan, was one of the many celebrities in attendance at the 5th Annual Thirst Gala held at the Beverly Hilton Hotel in Beverly Hills, California on Tuesday, June 24, 2014. Debby appeared on the red carpet looking absolutely chic in her long-sleeve, floor-length dress. Be sure to check more pics of Debby on the red carpet from the even in the gallery below and let us know what you think by commenting! Debby Ryan Exclusive Album Cover Shoot – WATCH NOW! 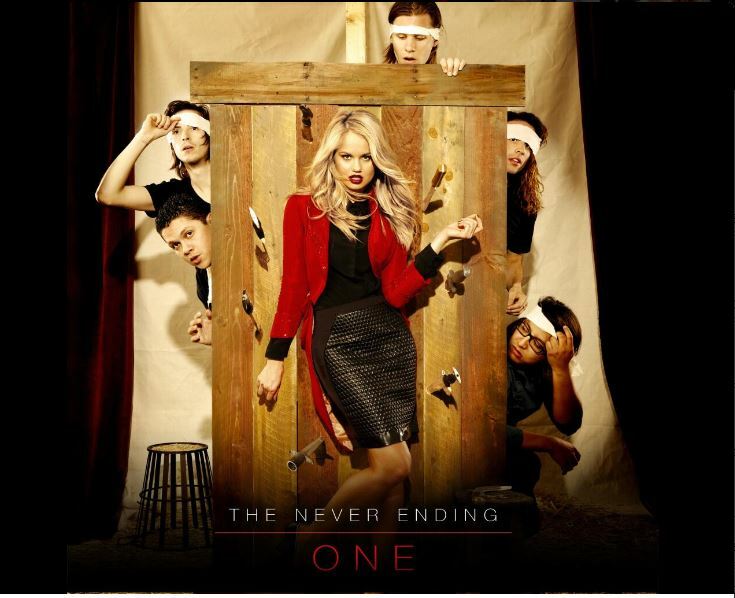 Debby Ryan released ‘ONE’ – the debut album with her band – The Never Ending. She partnered with Chideo.com giving fans exclusive access to behind-the-scene footage and photos from the album cover photo shoot! While there can only be one album cover, Debby and the band shot 5 different looks and a number of cover options to achieve that perfect look that encapsulates everything the album is about. Plus, you’ll see Debby and her band goofing off together and hanging out during the shoot. Readers and fans of Debby and The Never Ending be sure to visit Chideo.com for an inside look at what went into making the album – consider making a donation to help support Free The Children, a charity Debby and the band are big supporters of. Debby is also giving away some cool prizes leading up to and after the album release to help spread the word of her album through a fun initiative on her website called Chalking Mission! Check out the link below for the behind the scenes look at Debby’s album cover shoot and help a great cause. For more information on Debby Ryan and her band, be sure to check out her website here. 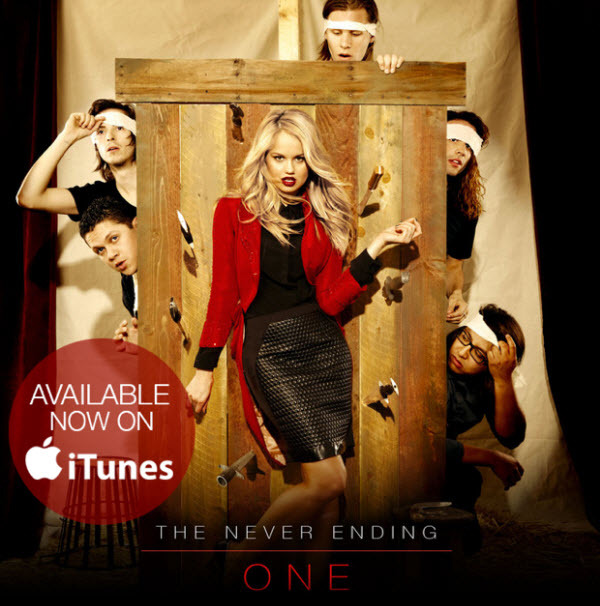 Debby Ryan’s And The Never Ending’s ‘One’ Album Now Available On iTunes! 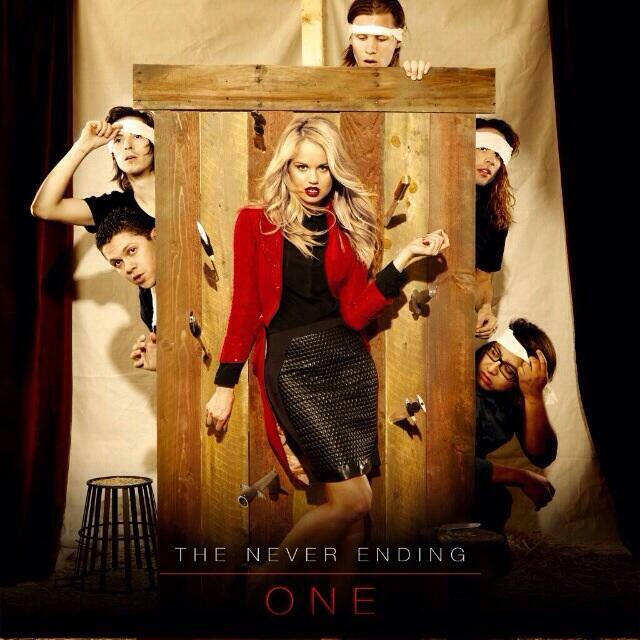 Be sure to get The Never Ending’s new album by clicking here! The Never Ending’s ‘One’ EP Out TODAY! Let us know what you think of the band’s EP in the comment box below. You know we’ll be blasting it all day long! The Never Ending’s “Mulholland Drive” FAN Lyric Vid Here! 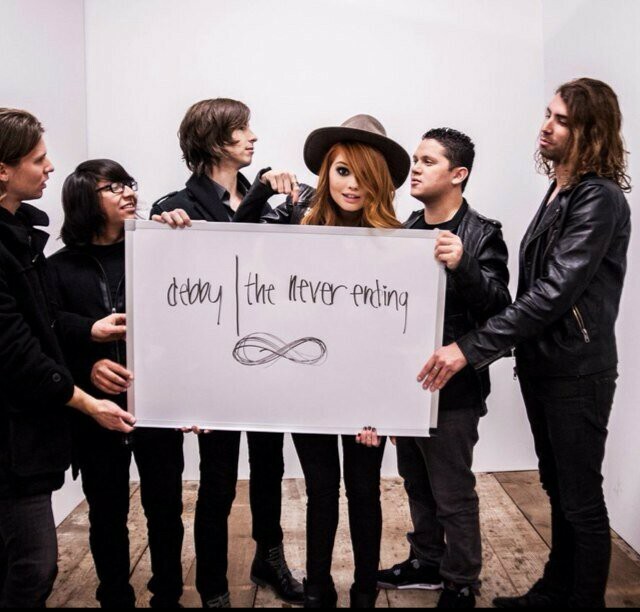 Debby Ryan’s rockin’ band The Never Ending have released a fan-made lyric video for their hit single “Mulholland Drive.” Fans from all over the world sent in clips and the band took time to pick their favorites to compile a great video. Check out the finished product below! Can you spot your clip? Debby Ryan Reveals ‘One’ Album Cover With The Never Ending – See It Here! In just four days, the album will be hitting stores! Are you ready?! Be sure to check out the cover in the photo above and let us know what you think of it by commenting! Debby Ryan & The Never Ending’s “Mulholland Drive” Debuts! It’s finally here folks! That’s right, Debby Ryan & The Never Ending’s new song “Mulholland Drive” has officially been released today! Check out the track below and let both us and the band know what you think! We already have it stuck in our heads! The song can also be heard on their debut EP ‘One’ which is set for release on June 24th.